Home > Resources > Definitions > What is Google AdWords Credit? 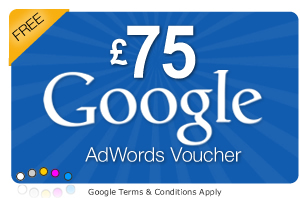 Google AdWords Credit is money that is credited to an advertiser's AdWords account through a promotional code, also known as a 'voucher' or 'coupon' code. There are several types of codes in terms of both monetary value (£75, £120, £150 etc) and usage profile (new AdWords accounts vs. existing accounts). How can I get AdWords Credit? You can get credit either directly from Google (typically the £75 code), through a Google Partner such as ourselves or through 3rd-party promotions and affiliates such Etsy. There are different types of code eligibility depending on if you are 'new' to AdWords (i.e. such up your Google Ads account in the last 30 days) or an 'existing' account. What's the Difference between Google AdWords & AdWords Express? What is 'Pay per Click' Advertisting? Posted in Definitions and tagged adwords, ppc, search.